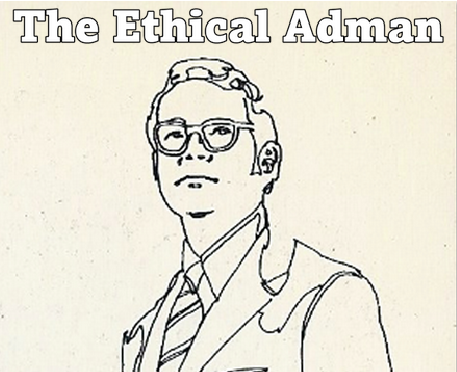 The Ethical Adman: Can this 1974 "Raped by Mick Jagger" ad be real? 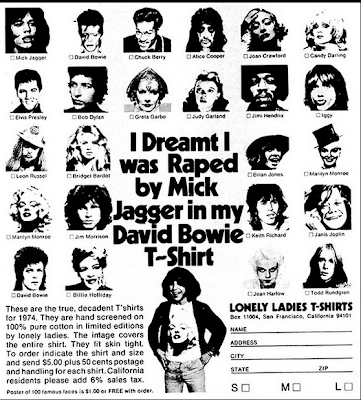 Can this 1974 "Raped by Mick Jagger" ad be real? It has to be a hoax. I truly hope so, anyway. 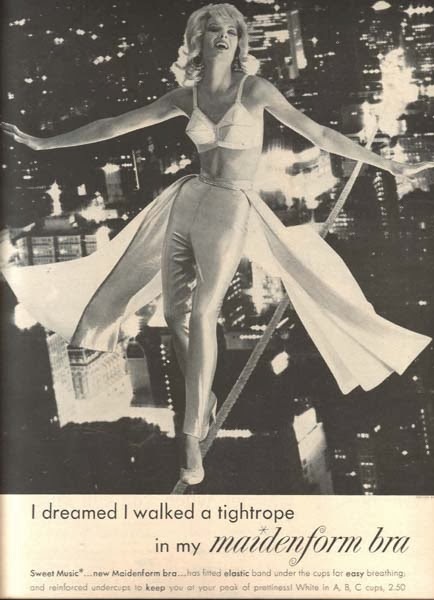 I just saw this posted in the Facebook group "1960's and 1970's Advertisements". From there I tracked it back to a post from last June in Anorak. The oldest post I found was on Flickr from 2008. So, if you combine 1970s political incorrectness, the bad-boy image of the rock press, a cheap shot at consumerism, and a wink at the contemporary rumours about a Bowie-Jagger affair, would you end up with such an ad? If you have any information about this, please comment below. It's from the December 1974 issue of US magazine "Creem".